To meet the growing demand of the market we are providing our customers with Poly Acrylic Chemical Waterproofing Service. The provided service is carried out under the direction of our professionals. 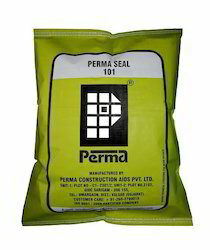 This service is highly demanded in the sectors for coating and waterproofing. We have marked a distinct and dynamic position in the market by providing Chemical Based Waterproofing Service to our valuable clients across the nation. 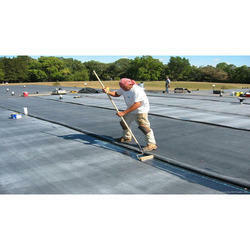 We are involved in providing our customers highly qualitative Chemicals Based Commercial Waterproofing Services. These are offered in agreement with the defined guidelines to preserve our standing in the industry. To add, the employees rendering these services are appointed after stern analysis of their skills and experience. Counted amid one of the dependable names of the country, we are engaged in the area of providing Chemical Based Waterproofing Services. These services are rendered by expert s team. Moreover, we assure rendering this service on time at nominal rates. Chemical Waterproofing Service is two component water-based, matte-finish, UV stable polyurethane coating ideal for topcoats and finishes of external walls that requires excellent algae & dirt resistance. It permits moisture vapor to escape through its film preventing coating failure.